It is hard to nail all the great movies of a year in ten slots. So, in order to fully honor 2009 in movies, I have also concocted a list that would be the equivalent of my #11-20. I call it “Ten Under.” When you someone is ten under in golf, it’s a great thing. So rather than focusing on the fact that these movies are not in the top 10, I want to celebrate their merit in a positive way. Note that rather than ranking them, I will present them in alphabetical order. Tender but never maudlin, “Adam” is unparalleled in the number of “aww”s elicited. Hugh Dancy’s affectionate performance as the titular character with Asperger’s syndrome is the crucial element to the movie’s success, and you can feel the care put into every twitch and line. It is sure to warm your heart, if not melt it entirely. 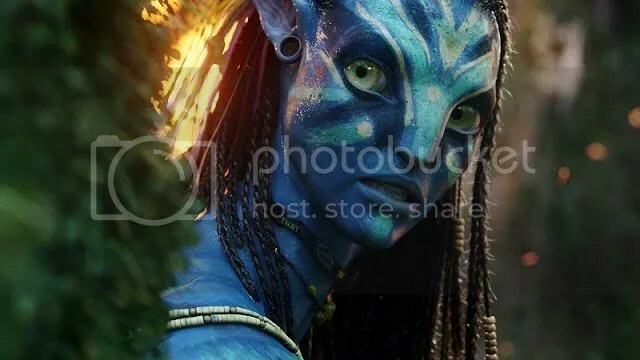 James Cameron’s “Avatar” will be remembered not just as a movie but as a watershed in the history of cinema. The movie’s astounding effects are enough to make you forget some of the flaws in the script, and they really do have the power to create a new world. Cameron goes all out to make sure Pandora is not just brought to life, but also flourishes. How quickly can he get to work on the sequel? “The Cove” is a powerful documentary that alerts us to a crisis we need to correct – and it is completely void of Al Gore lecturing. While systematically running down everything wrong with the slaughter of dolphins in Japan, the filmmakers show us how they verified the massacre. This never feels like a documentary because they wisely set it up like a crime/heist film, and the excitement builds up until it breaks and we feel nothing but a fervent urge to aid their cause. Thank heavens for viral marketing because without it, I would never have seen “District 9,” which appeals and amazes on all fronts. Smarts? An elaborate Apartheid metaphor and undertones of racism, check. Acting? An incredibly physically and emotionally committed performance by South African actor Sharlto Copley, check. Visuals? Aliens that make James Cameron’s output look like the Smurfs putting on a production of “Cats,” check. There is no doubt about it, “District 9” has the goods and delivers. For me, “Drag Me to Hell” was the year’s biggest surprise. I’m not usually the horror movie type, and I generally consider mixing horror and comedy about as toxic as drinking and driving. But Sam Raimi’s movie made me reexamine my policy. “Drag Me to Hell” is scary good, frightening and hilarious often at the same time. Featuring electrifying action scenes and some purposefully atrocious one-liners, it’s a movie that keeps getting better the more I think about it. Who would have thought that Wes Anderson’s humor would transfer like carbon paper to animation? Anyone who instantly recognized that “Fantastic Mr. Fox” contained the same spirit as previous projects surely did. It’s the same undeniable, albeit a little peculiar, fun that Anderson has sharpened with each movie. There’s never a dull moment here, and whether it’s filled with clever wordplay or amusing animation tricks, this stop-motion joy delights at soaring levels. I’ll admit to not being entirely won over by Judd Apatow’s “Funny People” at first sight. But I think “Up in the Air” shed some light on the director’s aim with the movie. I have concluded that it fell victim to my incredibly high-expectations after “Knocked Up” rocked my world. “Funny People” tones down the laughs and amps up the deep thoughts. Adam Sandler’s comedian George Simmons is absolutely miserable in his isolation, and the news that his life will end soon only makes him realize how alone he actually is. Over the course of the movie, which never feels as long as it actually is, Simmons tries to forge a meaningful relationship with a green comic played by Seth Rogen. It doesn’t quite have Jason Reitman’s insight, but “Funny People” is an impressive rumination on similar themes. If a bromantic comedy genre ever catches on, “I Love You, Man” will be its “The Great Train Robbery.” The movie follows the relationship between Peter Klaven (Paul Rudd) and Sidney Fife (Jason Segel) that forms after the former’s wife worries about him not having any guy friends. Their adventures are dastardly hilarious, but the movie’s unforeseen strength is its brain. “I Love You, Man” is a brilliant satire of how we see relationships, executed by the juxtaposition of a romantic partnership and a casual friendship. Slowly but surely, the functions of both of Peter’s relationships begin to switch. If we weren’t aware of the context of Sidney and Peter’s male camaraderie, would we see them as lovers? Would the casual observer? Look deeper into “I Love You, Man” because it is the most understatedly brilliant movie of the year. Slappin da bass? The hand-drawn animation glory days are revived with great verve through “The Princess and the Frog.” There is plenty to evoke these classics of my childhood, but even more is new – and no, I’m not talking about the race of the princess. The movie is as lively as its New Orleans setting, with some larger-than-life characters that amuse and enchant. Randy Newman’s jazzy score is a vivacious addition to a vibrant movie, and the songs aren’t too shabby either. With Anika Noni Rose’s silky smooth voice behind the tunes, “The Princess and the Frog” is a high-spirited time as only Disney can give us. 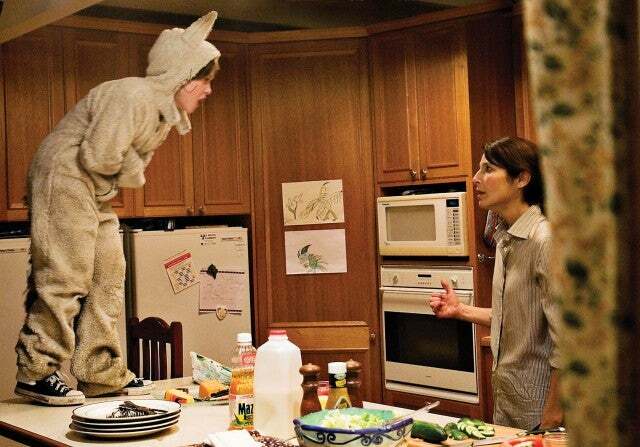 Spike Jonze’s adaptation of the classic children’s book “Where the Wild Things Are” earned plenty of enemies for its rather despondent outlook while aiming to entertain the youngsters. It packs plenty of rollicking fun for that demographic, but the movie definitely means more to those who can look back on childhood for what it really is. While there is plenty of bliss in this time, our youthful years are also filled with questioning and struggles. Jonze gets the big picture, and his movie provides one of the few honest portrayals of childhood in cinema. Stark and grim as it may be, we can’t argue with it. Here’s a little Oscar story for you, told just like a fairy tale! Once upon a time, there was a studio called Fox Searchlight. This was a specialty studio, so their job was to release movies that would be critically acclaimed and win lots of Oscars. But in September, it was becoming inherently clear that things weren’t quite panning out for Fox Searchlight. “(500) Days of Summer” and “Adam” weren’t really Academy-type movies, and “Amelia” was a huge bomb with critics. With only Wes Anderson’s animated “Fantastic Mr. Fox” left to release, they didn’t seem to have any viable candidate for big categories at the Oscars (although some author’s commentary: Zooey Deschanel and Joseph Gordon-Levitt deserve to be nominated). Fox Searchlight, who gave us last year’s Best Picture “Slumdog Millionaire,” had to do something to put themselves on the awards season map. So they used a trick play and moved “Crazy Heart,” originally scheduled for release in 2010, up to December 2009. “Crazy Heart” is about an aged, washed-up country singer who falls in love with a younger female journalist and begins the trek back to the place he loves the most: the stage. “The Wrestler” is about an aged, washed-up wrestler who falls in love with a younger female stripper and begins the trek back to the place he loves the most: the ring. But the comparisons shouldn’t stop there. Both movies feature a sort of “rebirth” performance from their lead actors who have been ignored by the Oscars previously. Jeff Bridges, the main man of “Crazy Heart,” has not hit the depths quite like “The Wrestler”‘s Mickey Rourke, whose struggles with drug abuse were widely publicized. Bridges, on the other hand, has been doing rounds as a valuable character actor over the past few years and has deep respect in the industry. However, Fox Searchlight wants to make sure that we know that he has been an Oscar bridesmaid four times. They also make the somewhat hyperbolic claim that this is “the performance of a lifetime.” I think its pretty safe to say that all the hopes of this movie ride on Bridges’ shoulders. And just look at the trailers. They are practically the same, even down to the guitar-strumming melodies behind them (the tune for “Crazy Heart” is Ryan Bingham’s “The Weary Kind”). So, will this be a fairy-tale ending for Fox Searchlight? That’s largely up to you, the moviegoer, who makes the business, and the critics, who give the awards and write the reviews. At the moment, the latter have not shown much love. The Washington, D.C. Film Critics did not even nominate Bridges for Best Actor. Thanksgiving Day isn’t necessarily a huge moviegoing day for my family, at least nowhere near as big as Christmas. It is the first day that my dad permits listening to Christmas music (although that hasn’t stopped me from listening to “All I Want For Christmas Is You” ten times already on my laptop). When we do go, they have been family movies (“Enchanted” in 2007, “Fantastic Mr. Fox” today) so be thankful for that time we can share together.